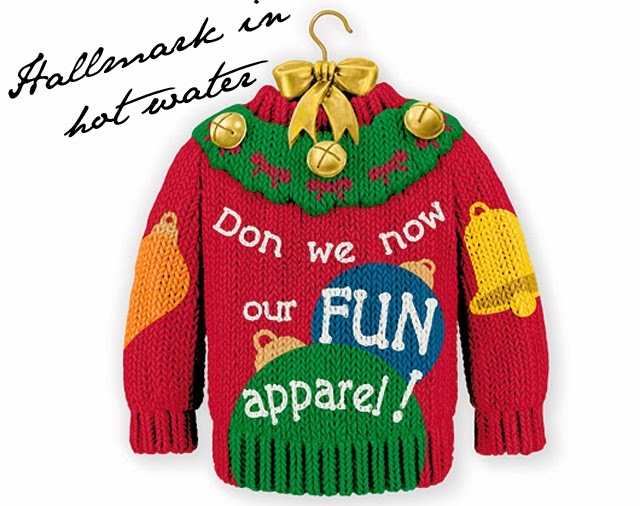 Whoever thought a Christmas sweater could land Hallmark in hot water? "Today [the word 'gay'] has multiple meanings, which we thought could leave our intent open to misinterpretation. The trend of wearing festively decorated Christmas sweaters to parties is all about fun, and this ornament is intended to play into that, so the planning team decided to say what we meant: 'fun.'" Yes, Hallmark fans are outraged and have taken to Twitter and Facebook to complain about the change in the popular lyric. In our opinion, Hallmark should have just left this lyric entirely. Had they left the word in, they would have found themselves in just as much trouble as they are today in taking it out. Surely just using the lyric "deck the halls with boughs of holly," would have been an easier way to go about things.